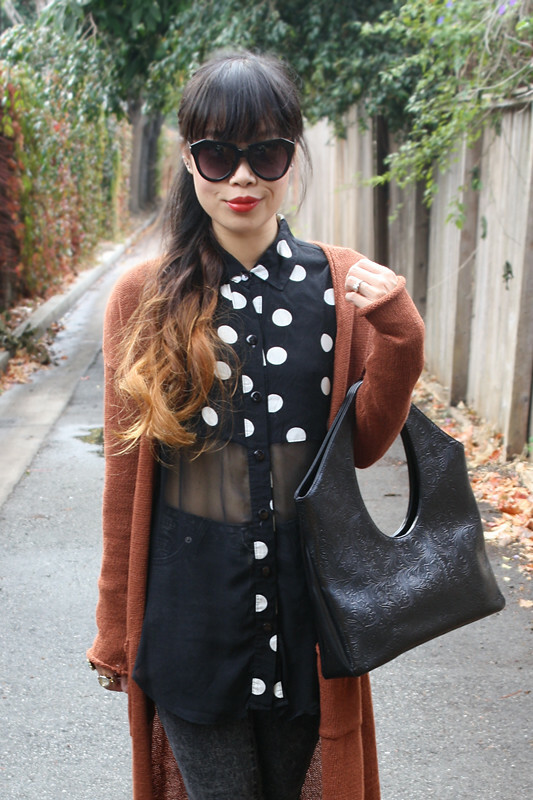 The weather has finally cooled down, not cold enough for coats yet but sweaters are perfect! I am a sucker for sweaters... long, cropped, pullover, open front, light, chunky... you name it, I have it! One can never have too many sweaters! 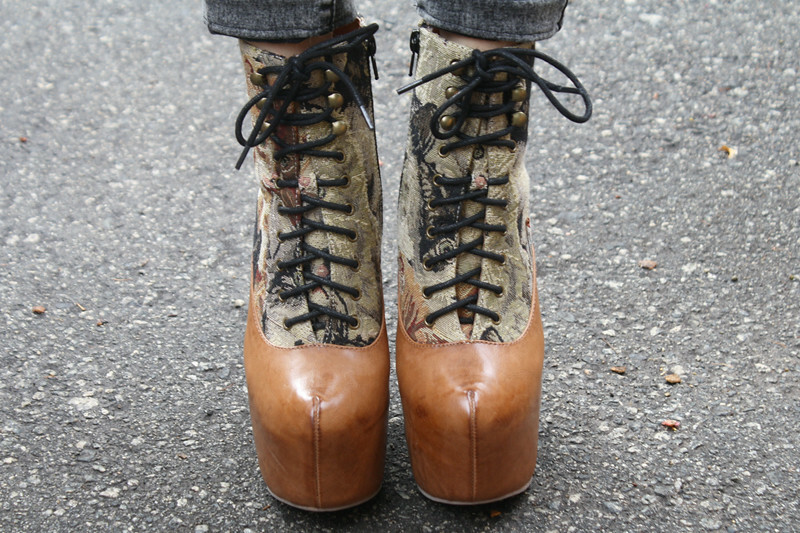 This is the last look I did for Ma Petite Shoe's lookbook rocking high on the Cat Tapestry Damsel by Jeffrey Campbell. Some of you might recall seeing my very own Cat Tapestry Damsel with full tapestry here, so it is no surprise I would love these cat tapestry and leather ones just as much! I rocked them with a half sheer half polkadots chiffon blouse, high waisted acid wash jeans, and a long sweater duster. Lastly, I completed the look with angular shades and structured handbag with amazing tooled details. 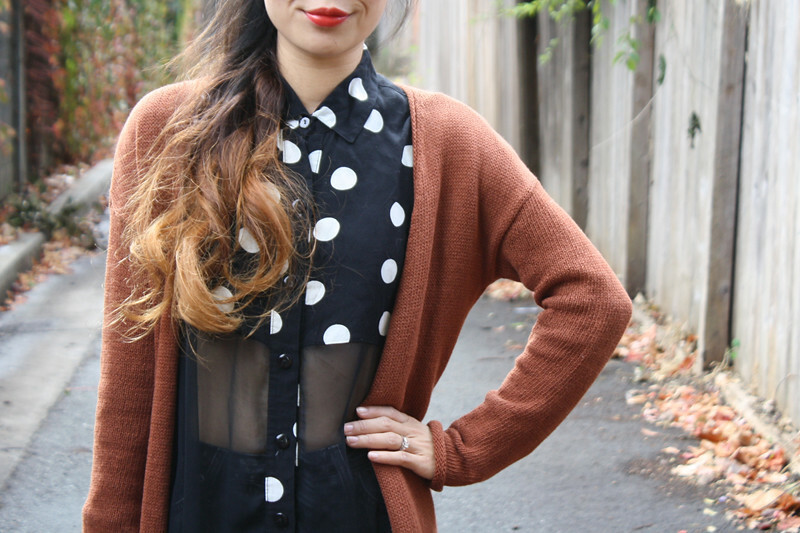 Thrifted vintage half sheer half polkadots chiffon top. Terra cotta sweater duster by Sparkle & Fade from Urban Outfitters. Cat Tapestry Damsel by Jeffrey Campbell c/o Ma Petite Shoe. Angular shades from 80s Purple. 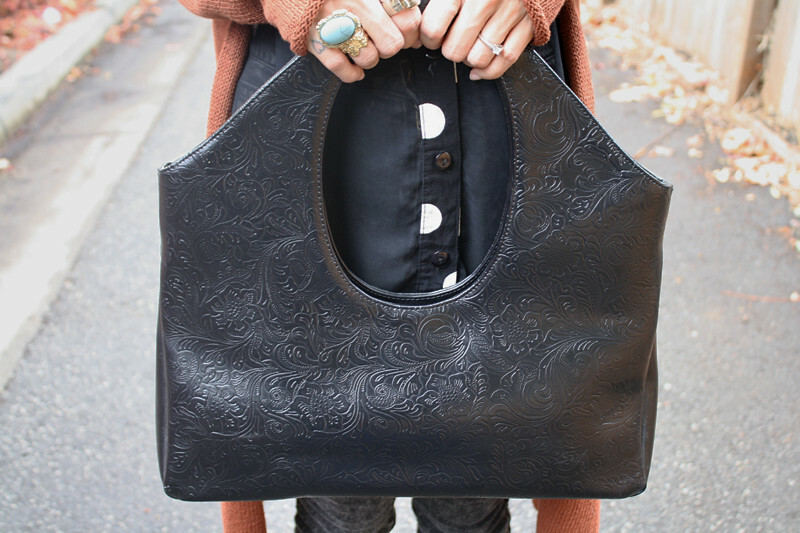 Vintage tooled leather handbag from Buffalo Exchange. You're blog is also extremely well-done! Oooh, I love your blouse! And your bag, wow!